The drone business, the small remotely piloted aircraft, is destined to become more and more widespread and popular in China. According to the latest guidelines published by the Government, the sector’s turnover is set to increase by 40% year-on-year to reach 60 billion yuan, about 9.1 billion dollars, by 2020. The market it should triple to 180 billion yuan by 2025, or $ 27.3 billion. Estimates grew compared to a 2016 iResearch report, which assumed a turnover of 75 billion yuan in 2025. 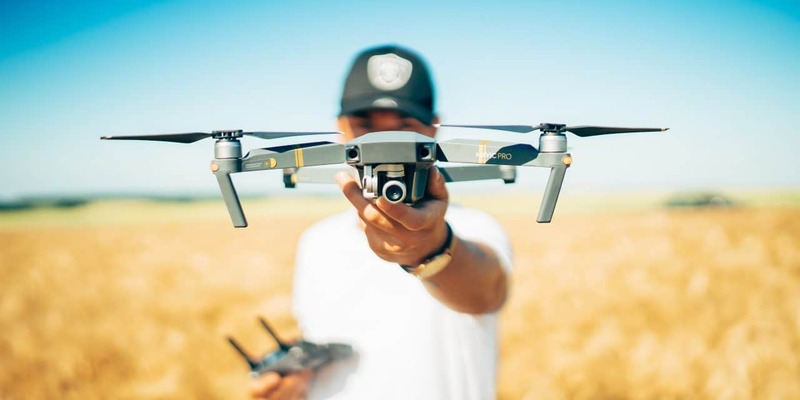 The drone industry in the country has expanded rapidly in recent years with intensive use of aircraft in fields such as mapping and surveying, in addition to private individuals and enthusiasts. The Ministry of Industry and Technology believes that China is playing the role of global leader in digital drone manufacturing. 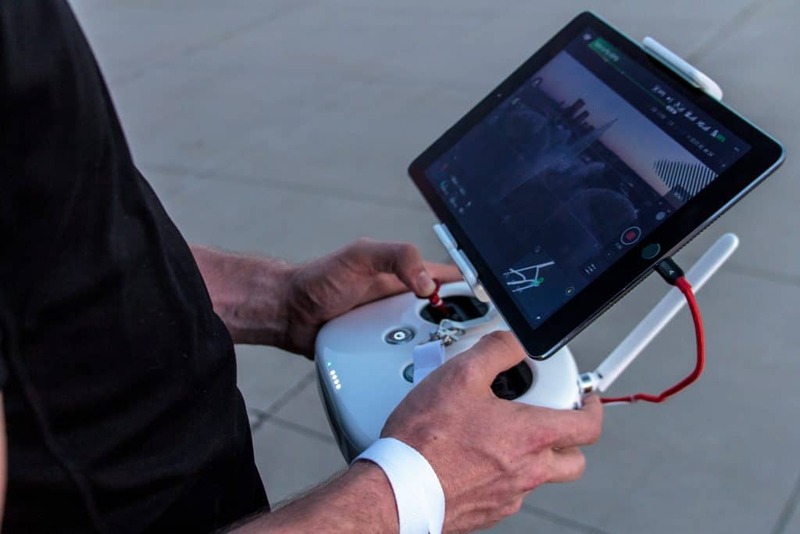 A new study by Grand View Research estimates that the market for commercial drones will reach $ 2.07 billion by 2022. The most important sectors will concern the development of drone applications, the use of drones in agriculture and government uses. 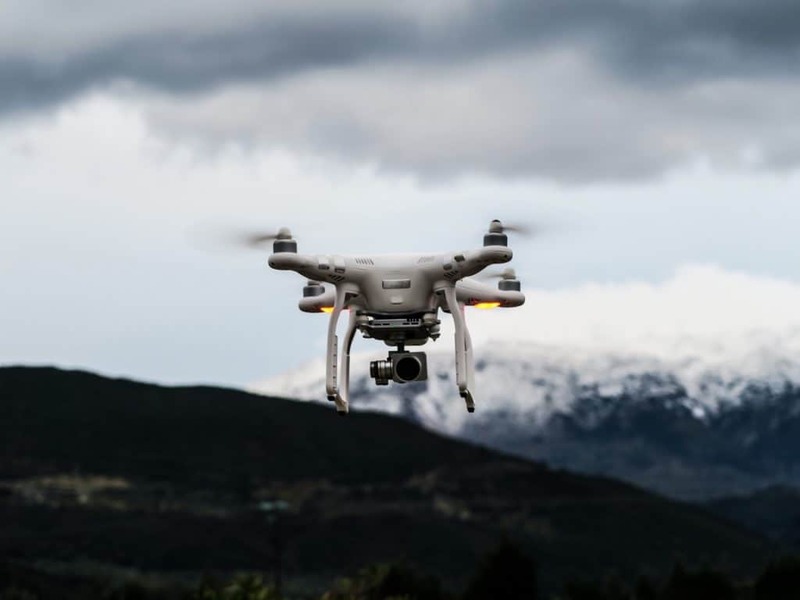 In addition to military applications, drones will increase among law enforcement agencies and other agencies involved in rescue operations or land management. So real and silent to escape the attention of radar and birds. They are the latest-generation drone drones, which scientists at the Northwestern Polytechnical University in Xian are working on. Directed by Professor Song Bifeng, already involved in the development of Stealth J-20 fighters, the program – codenamed “Dove” (Colomba) – provides for the development of unmanned aircraft with the precise appearance of a bird. Already used by more than 30 Chinese military and government agencies in at least five provinces of the country, drones – unlike normal unmanned aircraft equipped with fixed wings or rotor new ones – faithfully imitate the beating of a bird’s wings in climbing actions, descent and vaulting in the air. One researcher involved in the project reported that the goal is to develop a new generation of drones with “biologically inspired” engineering, able to circumvent human detection and even radar. DJI, the world’s largest producer of commercial drones for market share, plans to invest an additional 10 million yuan ($ 1.46 million) in agricultural drones and instructing drone operators by next year. It will open 1,000 new retail outlets, train more than 20,000 professional drone operators and set up more than 600 training branches nationwide in 2019. It will also increase subsidies for the purchase of agricultural drones and improve its sales and service maintenance and after-sales assistance. The company launched its latest agricultural drone last December, the T16, which features enhanced load capacity, as well as dynamic systems to increase work efficiency and accuracy. Drone operators who use these drones can spray pesticides on about 10 hectares of agricultural land per hour. With the modernization of agriculture, the demand for advanced agricultural devices has grown significantly. 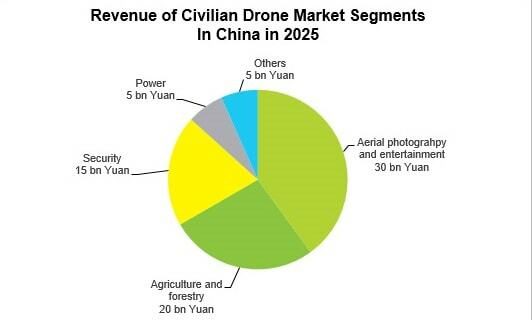 Industry statistics predict that the penetration rate of agricultural drones in China will reach over 40% in 2023, with sales reaching 16 billion yuan. in China, the big e-commerce company called JD, We speak of the second giant after Alibaba, quoted on NASDAQ, has made 150 thousand drone deliveries in the last three months. The rural areas of China contain a potential market of 618 million people, often difficult to reach on rubber or iron. In the provinces of Beijing, Sichan, Jaingsu, Shaanxi and Guizhou, JD is daily using a fleet of drones capable of carrying around 40 addresses per day each, flying within a radius of 40 kilometers. 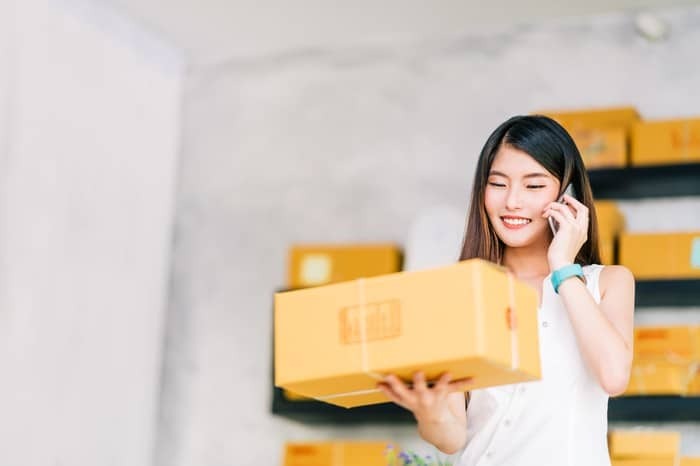 Unlike the suggestive idea of Amazon, which provides delivery directly to the customer’s door, JD delivers the goods to local distribution centers. This allows you to avoid security problems and allows you to optimize the number of flights because the aircraft can carry up to 10 kilograms. Word of mouth has always been the best marketing tool. Between advertising a product and the advice of a person we know, we always tend to trust more than the opinion of the latter. The reason for this choice is given by the fact that we know the person who gave us the advice, while who made the spot or created the product most likely not. According to a study carried out in 2015 by Nielsen (a company that deals with market research) word of mouth is the most credible promotional tool: 82% of Chinese citizens of the metropolises interviewed and 76% of those in rural areas consider the advice of direct acquaintances as very or fairly reliable. Another interesting fact emerged from this study concerns the online comments, considered reliable by 84% of the Chinese population. Marketing actions in China must be done with a certain order, BEFORE the communication and THEN the sales. So, before starting the sales process on digital channels in China it is important to establish a pre-sales communication budget, to create or strengthen brand awareness, which must be done on social channels (Wechat and Weibo), on Baidu, on video channels streaming etc. This allows not to waste resources with e-commerce starting with an unknown and hardly recognizable brand. In recent years, especially the foreign brands have developed specific strategies of Social Commerce, or e-commerce through their social platforms. Obviously, this makes commercial sense only if the numbers of followers on social media are interesting, but this strategy has undoubted advantages. First of all there is no competition, in the sense that the customer, loyal to the brand, is directed by the brand itself to a personalized customer experience, which reflects the brand. In this way, the brand is not put in competition with other brands or equivalent products, as it is on multi-brand platforms such as Tmall, JD etc. Then browsing on the official social account of a brand (of which Wechat verifies the authenticity) there is no need for the client to take precautions against counterfeiting, so you feel more protected, in a direct relationship with the single brand. 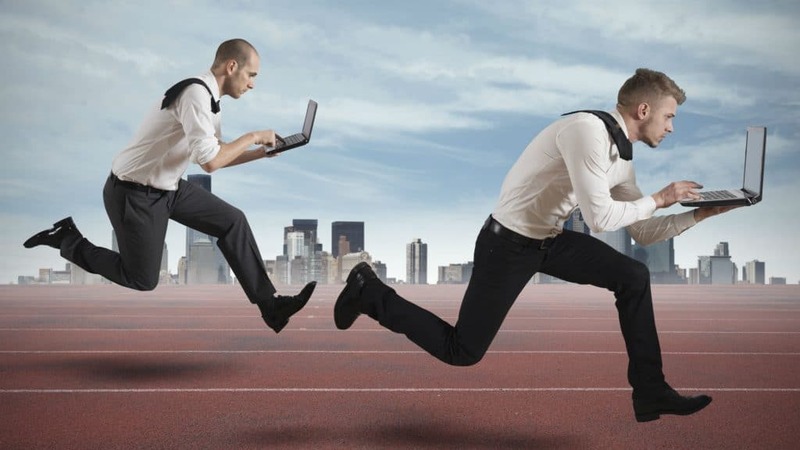 Some brands, wanting to make the most of these advantages, have in fact decided to use only this digital strategy (IWC Schaffhausen, Cole Haan etc. ), without selling on traditional e-commerce platforms.